Hey Roadies! It the last day before the Work of Heart Kit release! We're so excited about this kit we have lots of peeks to share today. We just can't wait any longer! First up is a peek at one of the cards in the kit. It has a sweet watercolored background for a pop of color and then lots of our amazing goodies layered on top. You'll also see a peek at the coordinating digital cutting files we'll be releasing along with this kit. We especially love that USA map die cut! Next let's look at a peek at some more of the luscious product included in this kit. An absolutely fabulous assortment of pins, kraft flowers and envelopes, washi tape, papers, trims, stamps, and so on! It all arrives in the pretty magenta organza bag to keep it all organized. This kit release we have three designers create 6 card designs to inspire you. Here's a peek at one of our designers card samples. Absolutely beautiful! There are just so many possibilities! Finally we have a surprise this release! It's a video showing all the product in this Work of Heart Kit. Take a look at how lovely it all is! You can see it all here on Youtube! The Work of Heart Kit will be released here on the kit blog on Friday May 1st at 11 am EST. Don't miss it! Hey Roadies! We're back with another sneak peek at the upcoming Work of Heart Card Kit. Today we have two more peeks to share with you, this time featuring our exclusive Work of Heart stamp set. This stamp set cannot be purchased anywhere else and once it's gone, it's gone! The stamp set is a 4"x4" stamp set and it is designed to work with the kit and each stamp is created to interact with the others. You can see quite a few of them in the above image. First of all there's a circular border into which you can stamp one of five circular sentiments. Into the center of the sentiments, you can then stamp one of the small icon stamps. They all mix and match. You can also use each of the stamps on their own. 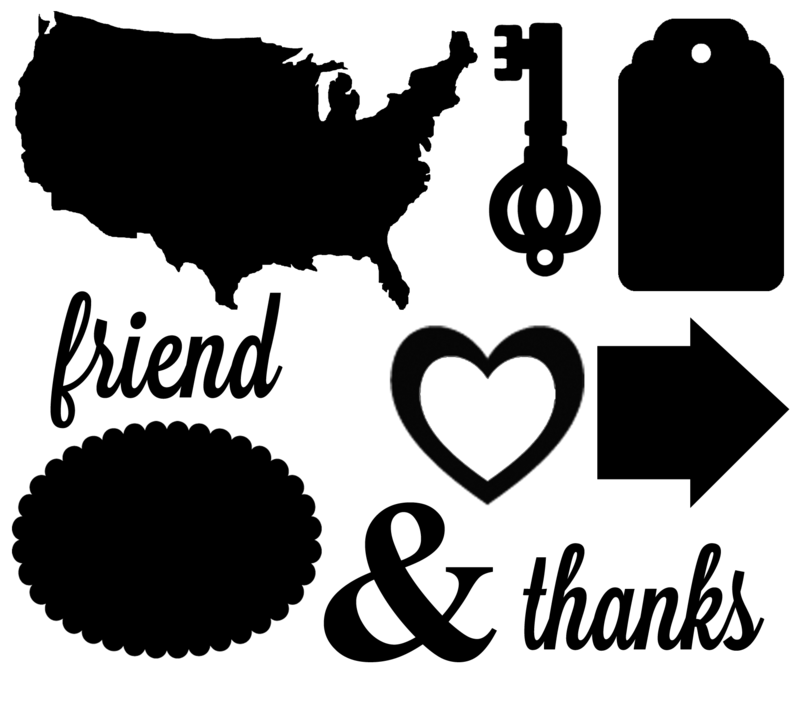 For instance, how about stamping the heart repeatedly to create a sweet background? Now how about this stamp set in action? We are going to bet this particular stamp might just be one of your faves! "Keep calm and craft on." It gets us through many a busy day! How about you? We mentioned the floral chipboard in the last peek and you can see it used in this card sneak peek. We are loving the fresh look of the colors in this release and they look great stacked on the floral and circle chipboard pieces. Stay tuned! The Work of Heart Kit will be released here on the kit blog on Friday May 1st at 11 am EST. Just one more day of sneak peeks until the big release! Hi Roadies! We're back today with another sneak peek at the upcoming Work of Heart Card Kit. Actually, there's two sneak peeks today. You'll see some of the product we've included in the kit as well as peeks at some of the design samples we've created for you. Each kit has lots of samples from you to chose from if you wish to follow along with our projects. Full instructions for each of these projects are included on our blog. Next up is a closeup at another one of the design samples. It highlights a new item for the Maya Road kits. It's an exclusive wood token piece that says "handmade just for you". There's actually TWO of these exclusive tokens in the kit as we know you're going to want more than just one! You can also spy a peek at our new exclusive stamp set that is included in the kit. More on that tomorrow! The Work of Heart Kit will be released here on the kit blog on Friday May 1st at 11 am EST. You can also get first dibs on it a day early (Thursday April 30th) just by joining our Maya Road Kit Chat Group on Facebook. Another option is to get on the preview list for the kits. Those on the preview list will get first dibs at the Work of Heart Kit! If so contact us and let us know you would like to be one of the first to shop our Work of Heart Card Kit! We will offer a special head start to those that ask to be on the list! At Maya Road, we put our heart into every single one of our products. We know you put your heart into your creations and each and every one is special so nothing less will do! Our kits are no exception. Each piece is carefully chosen to work together and give you a wonderful crafting experience full of creating possibilities. We love designing with our kits and look forward to each and every one and hope you do too! It's no wonder then, that we've titled our most recent release the Work of Heart Kit. This kit is a beautiful fresh kit that's perfect for creating card designs and much more. Today we are starting sneak peeks at this kit and you can see there's a lot to see today. From gorgeous pink trim to shimmering sequins, from sweet dotted envelopes to our stunning exclusive wood buttons and flair, you're sure to find lots of special goodies to jump start your creativity! Check back in tomorrow for more sneak peeks! The Work of Heart Kit will be released here on the kit blog on Friday May 1st at 11 am EST. Mark it down!